The whole process of renting apartments or houses can be quite tedious and would involve a lot of factors. 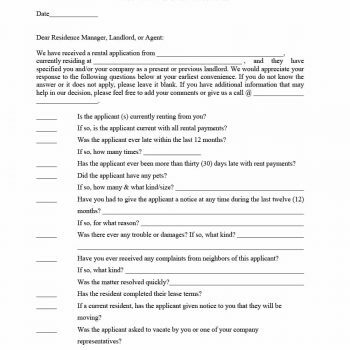 In fact, rental applications can be a lot like employment applications in a way that a lot of processes are involved as well as required documents to go along with them. 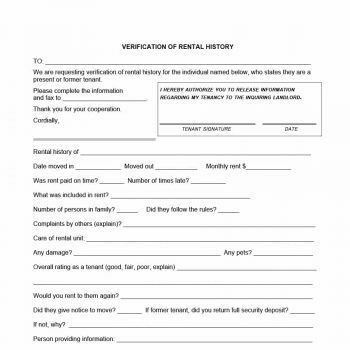 Probably the most important among these documents would be the Rental Verification Form, Tenant Verification Form, and Landlord Verification Form. Each of these forms is important for very different reasons. 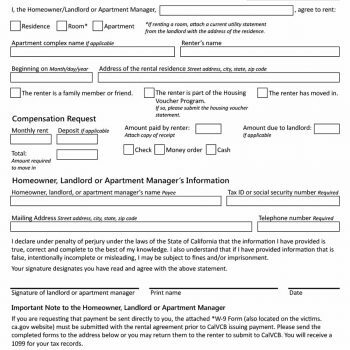 Tenants have to be able to give proof to the landlord that they are financially and socially prepared to rent out the house, apartment or unit and would prove to be reliable renters. 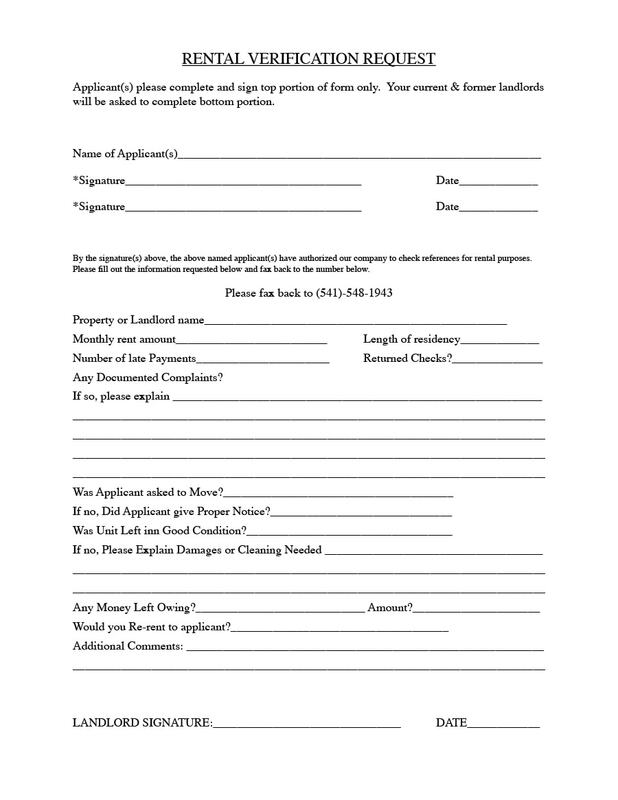 The landlords can then conduct a background check based on the information given by the tenants on the form. On the other hand, tenants can also ask for the verification from the landlord so that they know that they are renting a unit, house or apartment from the owner or an authorized representative and is free of any legal issues. 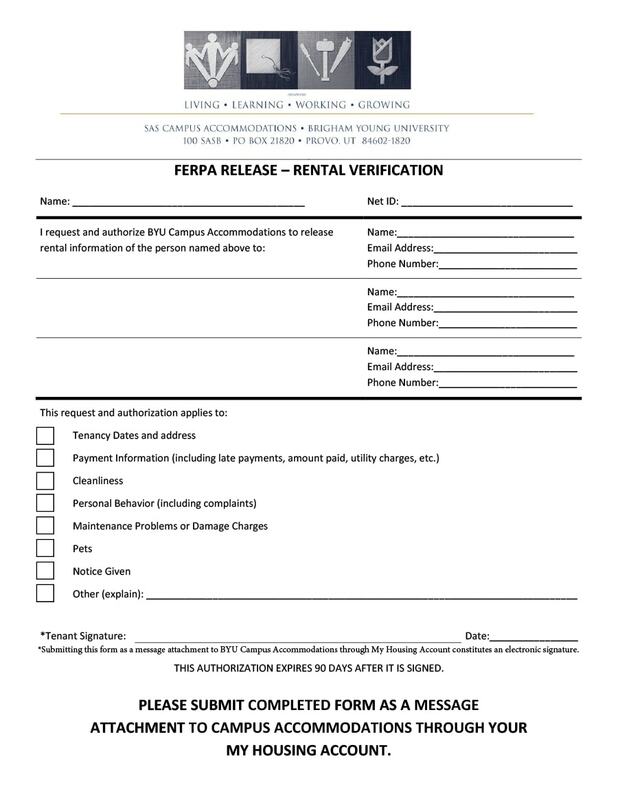 The whole process of rental verification can be completed using these different forms. 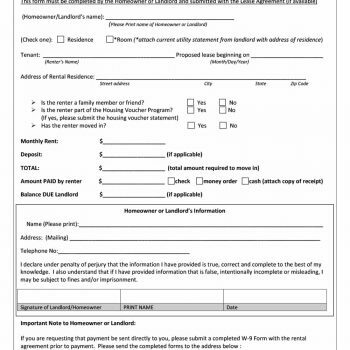 Both landlords and tenants will benefit from the use of these forms as they can be used to confirm any and all information giving throughout the whole renting process. 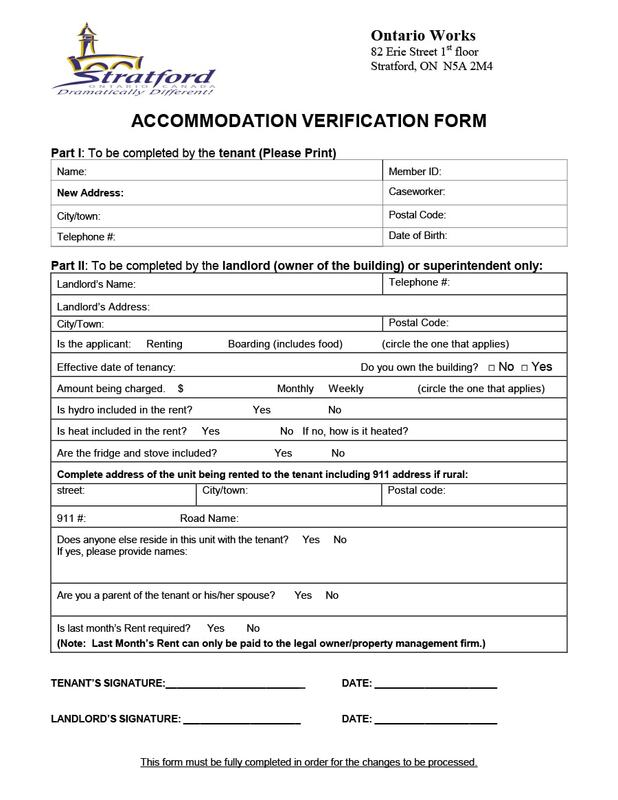 These verification forms can be used by tenants as documents to prove that they reside in an accommodation which they are renting. 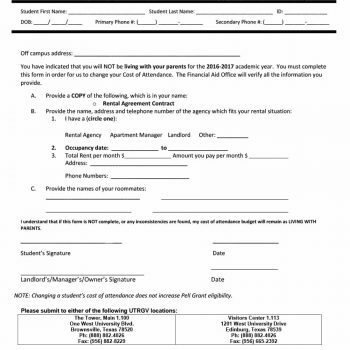 They may need it when opening a bank account, applying for a loan from a bank or any other lending organization or even if they are planning to enroll in a school. 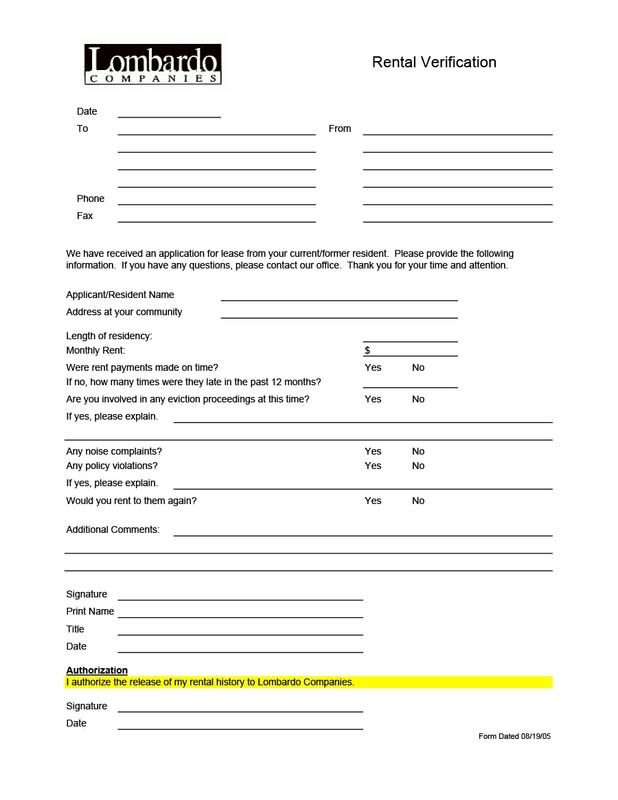 It can also be a requirement for application to a federal or state assistance program. 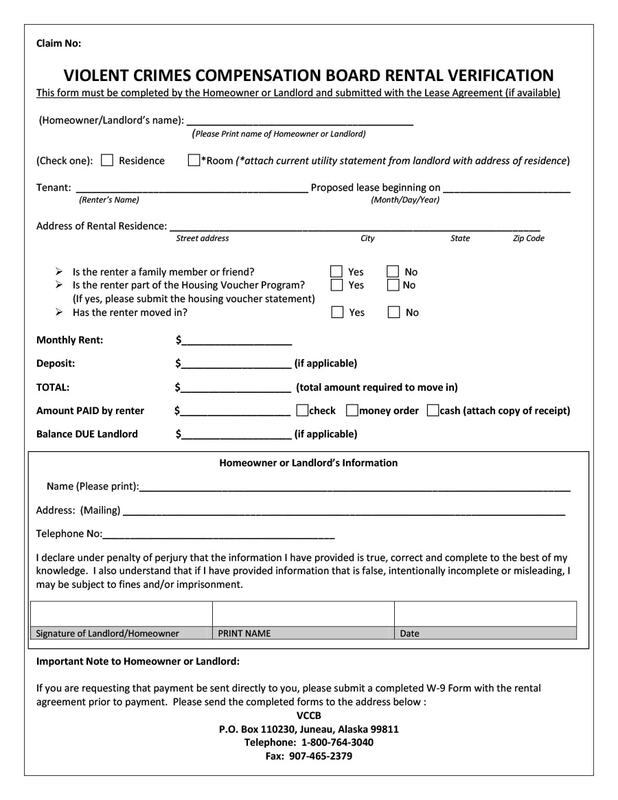 These forms give tenants all the information they need about their landlord as well as the property they are planning to rent. 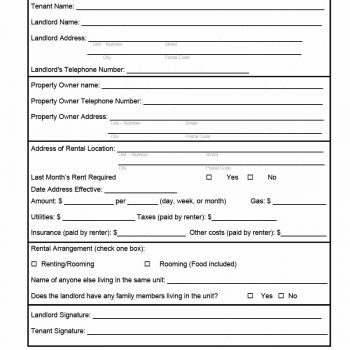 These forms also give landlords all the information they need about the tenants, especially if the landlord plans to do a background check on the tenants in order to verify all the information placed in them. 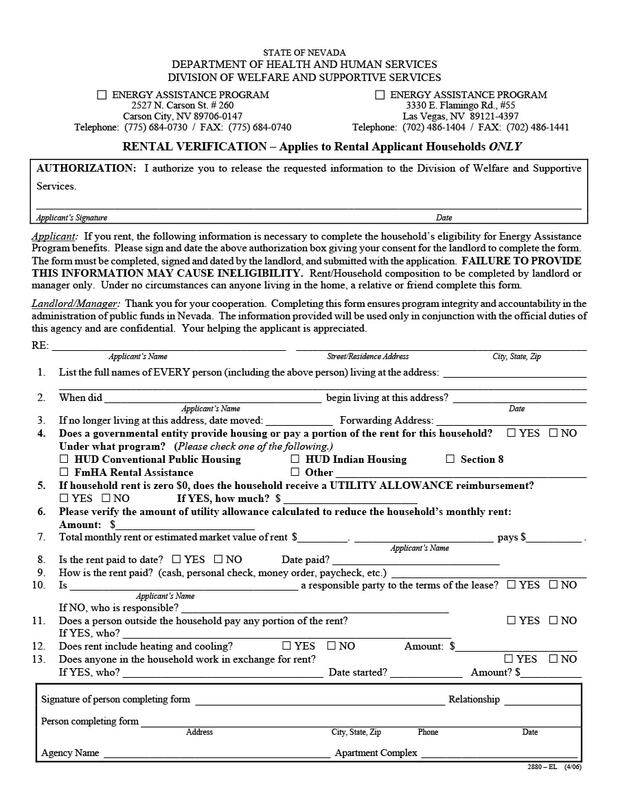 Filling up these forms would be the first step in the whole rental process and would complete the whole rental verification. Now that you know the benefits of having these forms, let’s move on to defining and differentiating them to get a better understanding of all of them. 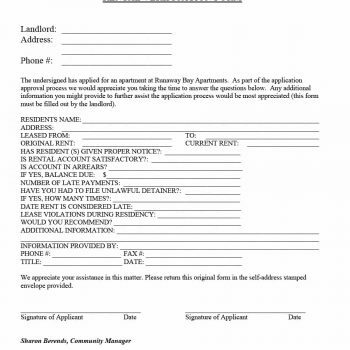 The different forms used during rental applications have their own uses and the information placed in them also differs. 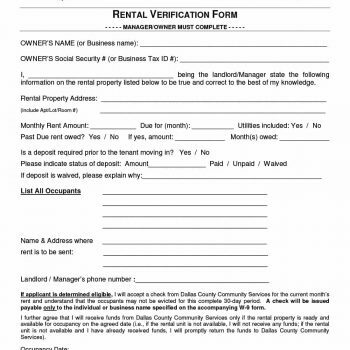 Let’s move on to defining the Rental Verification Form, the Tenant Verification Form and the Landlord Verification Form. 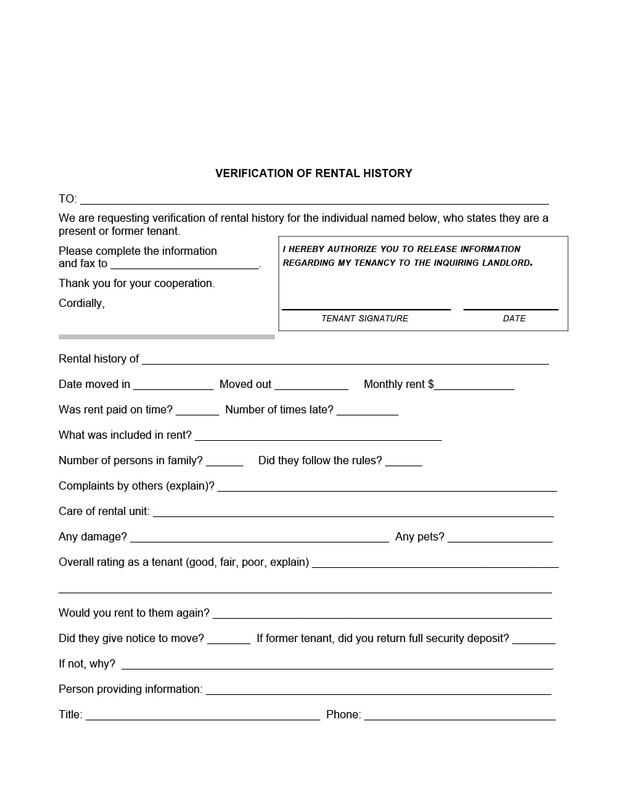 The very first step to be taken in the whole rental process is to fill up a rental verification form. 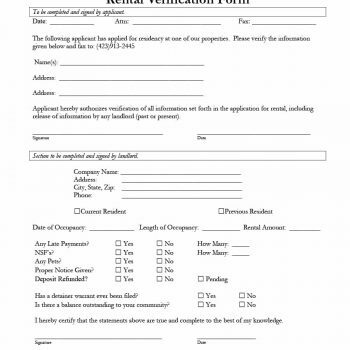 This particular form is the most general kind of form which contains information from both parties. Renting a property and renting out a property can be a vulnerable process for both tenant and landlord, especially if they do not know each other. 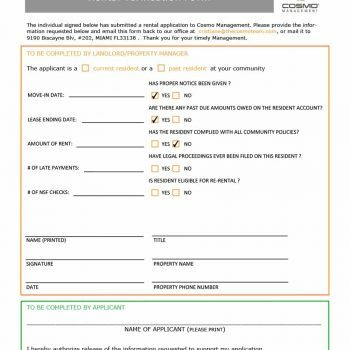 This form makes the whole process a whole lot easier as it would pave the way to be able to validate a probable tenant before allowing him/her to start using your property in exchange for rental payment. 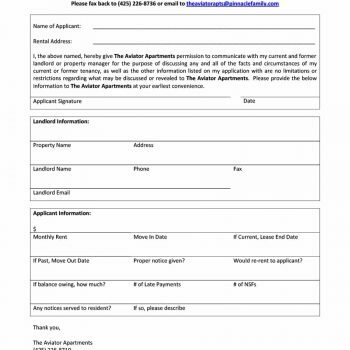 The rental history of these potential tenants can also be determined through this form and can be used to make sure that this tenant would be the perfect person or persons to rent out to. 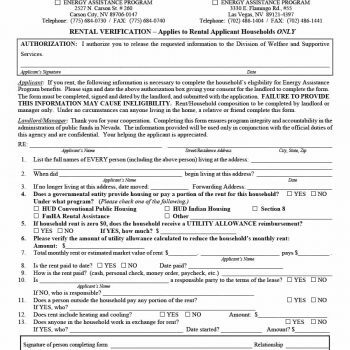 There are many kinds of rental verification forms available online and these can be used for a lot of reasons. 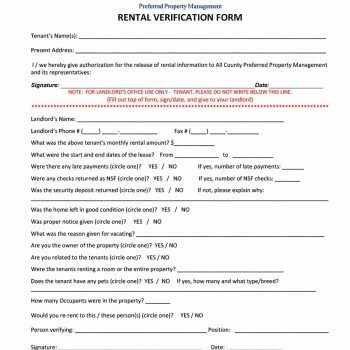 Later on we will discuss how to make your own Rental Verification Form before you start renting out units to tenants. When a landlord is performing a background check on potential tenants, the most useful information would most likely come from the tenant’s previous landlord. Landlords often prefer to communicate by phone but some also choose to communicate through writing. 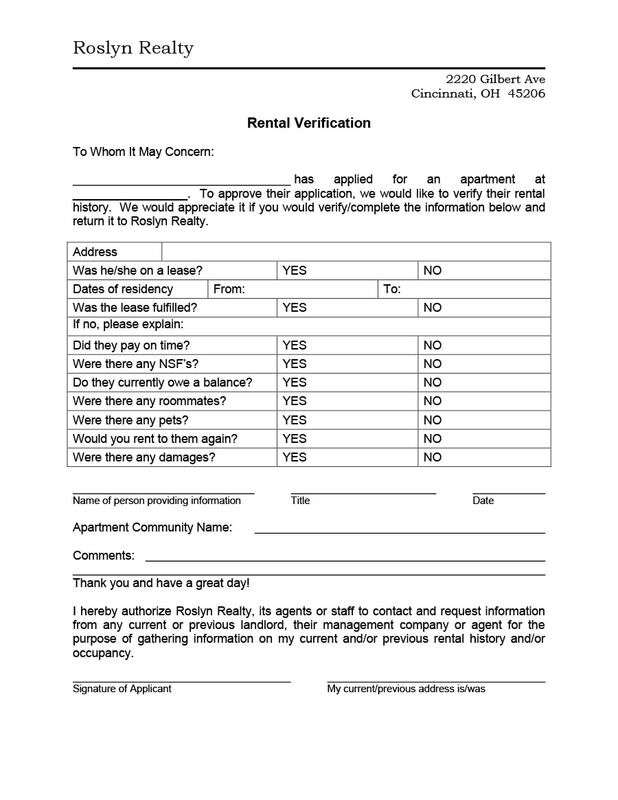 In any case, if the tenant actually has a Landlord Verification Form on hand and passes a copy of it to the potential landlord, the information in it can be used as a tool for getting answers to questions about the tenant’s reliability. To be able to find good and dependable tenants who are able to and will pay their rent on time as well as keep the rented property in good condition, landlords can refer to the previous owner of the tenant’s last property. When screening potential renters, landlords must be able to do comprehensive background checks in order to ensure that the tenants won’t be causing any problems to you or your property. Having the information of the landlords would also be useful for tenants so that in case they need anything, have any questions about the property or have encountered any concerns, they can easily get in touch with you. 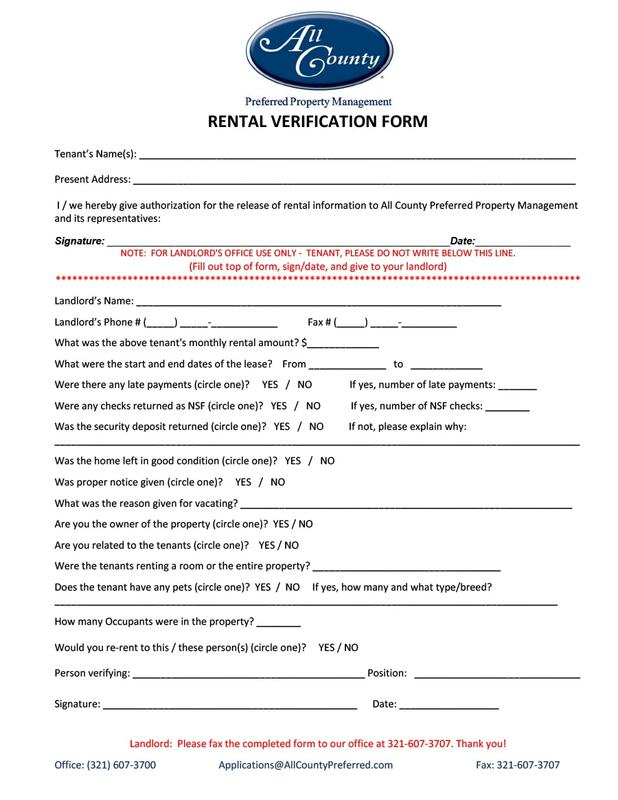 A Tenant Verification Form, on the other hand is a form or a spreadsheet with questions which the tenant needs to fill out before actually renting a property. 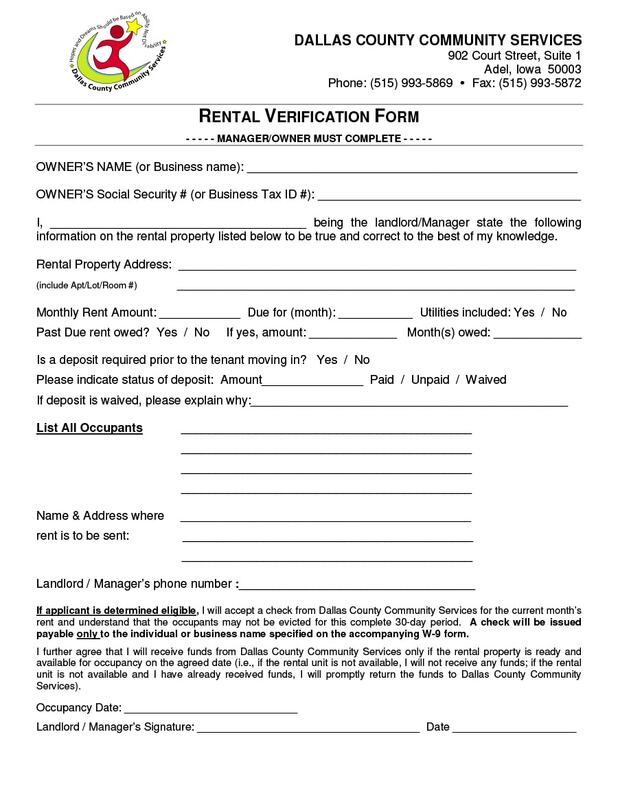 This is an official document which must be submitted to the landlord or owner of the property to be used as a tool to verify the identity and the dependability of the potential tenants. 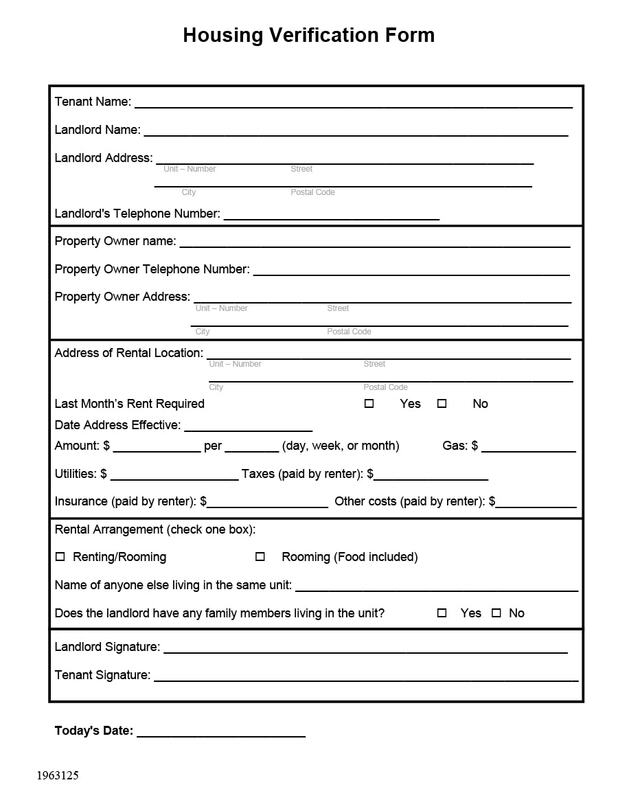 In filling up this form, tenants must write down all accurate information so that when a background check is done, the landlord will be able to confirm everything and the whole process will be completed. When inaccurate information is given, the chances of the tenant being approved or chosen to rent out the unit would be very little. 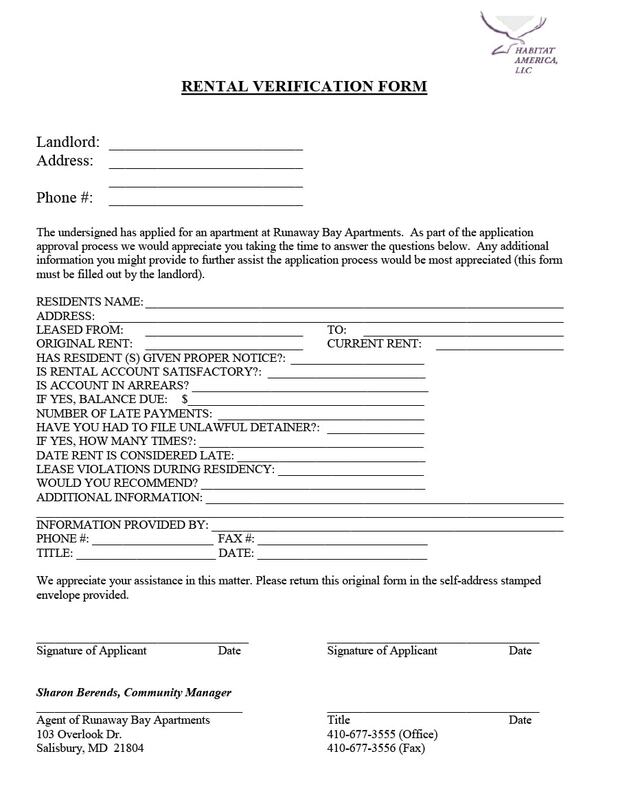 Having this form is the most ideal security defense for landlords as through this they can find the best tenants to rent out the unit. 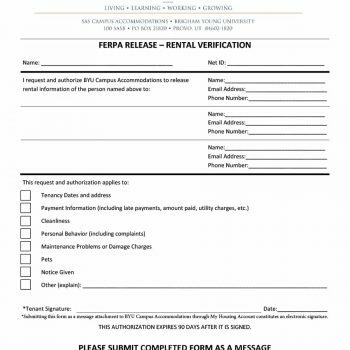 Knowing the definitions of the different forms will help you out in picking the right form to fill up or have filled up when getting into the whole rental verification process. Now let’s take a look at how to make the different forms. Open the software of your choice and format your page. Set 1 inch margins on all sides and choose your font and font size. 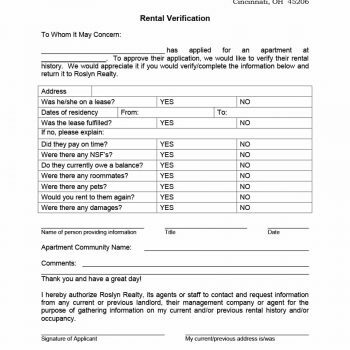 Using a bigger font, type in the title of your document before adding in all the other information needed in a Rental Verification Form. 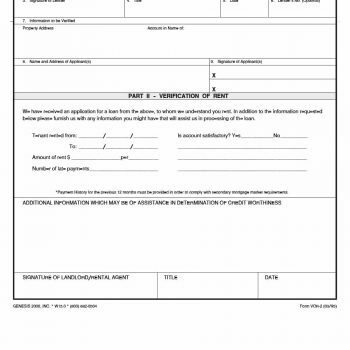 Create 4 text boxes for each section of your form to sort and separate all the information. 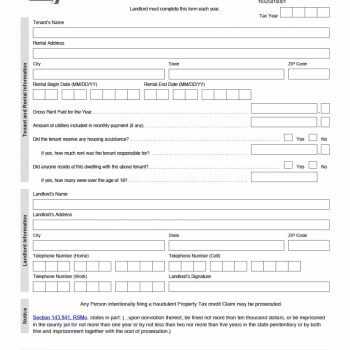 You’d have to fill in the first box as the landlord or owner of the property which is to be rented out. This box would contain your name or the name of your complex. Then it should also contain the address of the property which is to be rented out. After that, you’d also have to add a space for your contact details – your phone and fax number as well as your email address. 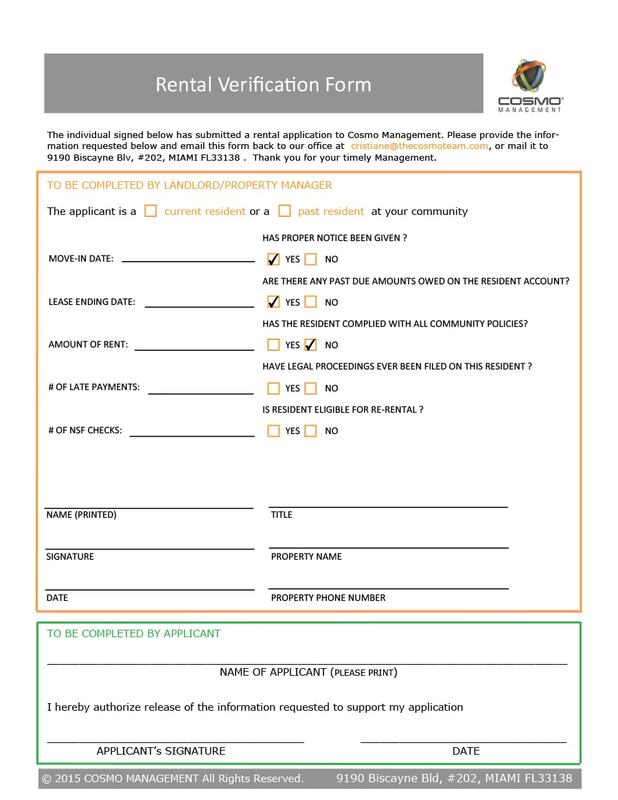 The second box would have to contain a declaration or statement which says that the person who has signed in the “Applicant” box has submitted an application to be able to rent your property. Also include the name of the rental agency (if any) along with the contact details in the statement. 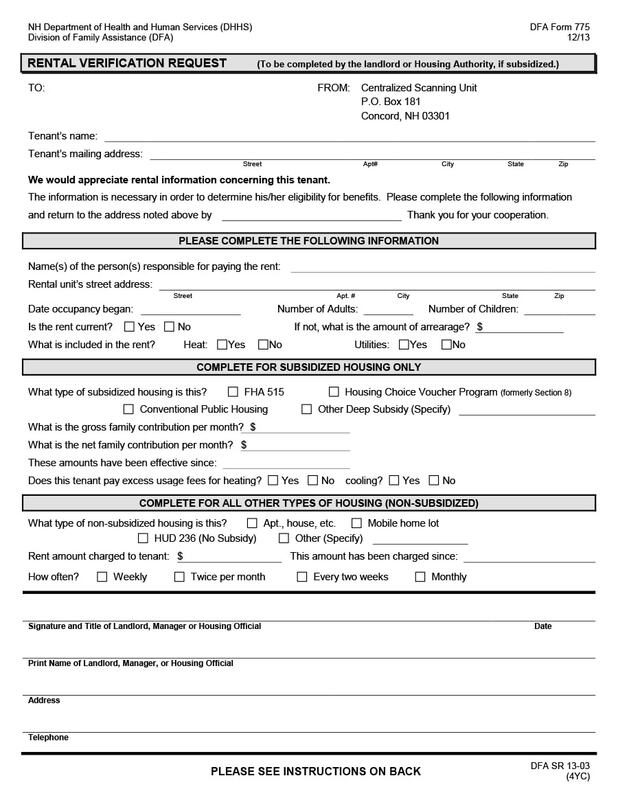 The third box would be filled out by the potential tenant. 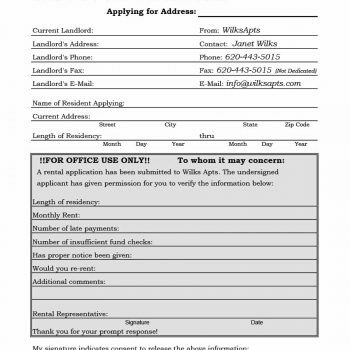 You’d have to place a space for the full name of the Applicant, a statement which authorize the release and use of his/her information for the rental process along with the address of the property which he/she plans to rent. 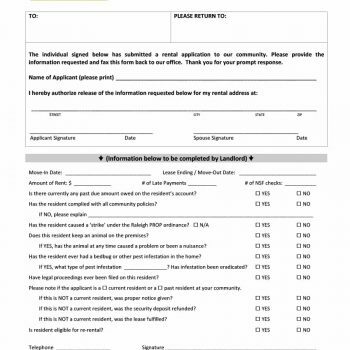 Finally, place a space for the applicant to sign along with the date which the form has been completed and signed. 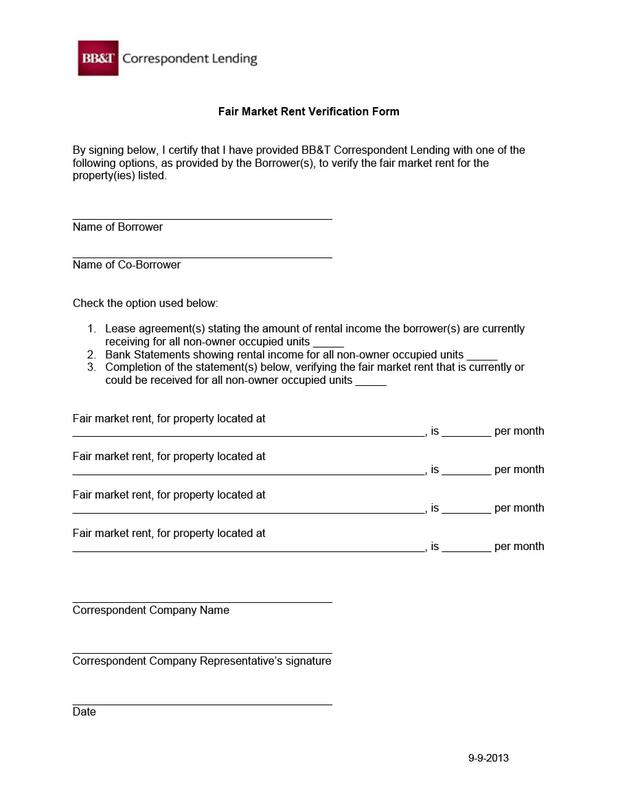 The last box is reserved for the tenant’s previous or current landlord to complete. 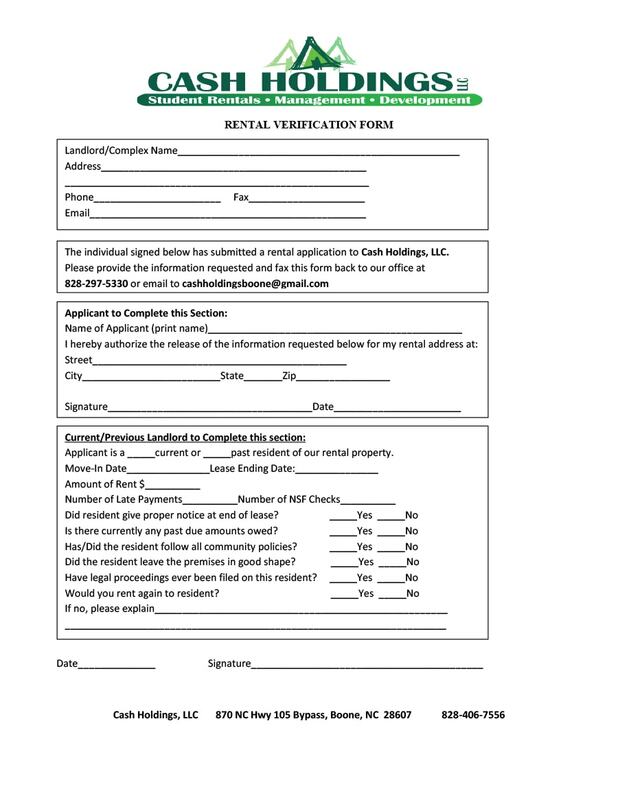 In this box, you’d first have to ask the landlord to indicate if he/she is a previous or current landlord. Then you have to ask about when the applicant moved in and the date when the lease ends along with the rent amount each month. Also ask how many late payments or NSF checks the tenant has given during the course of the whole lease agreement, if any. 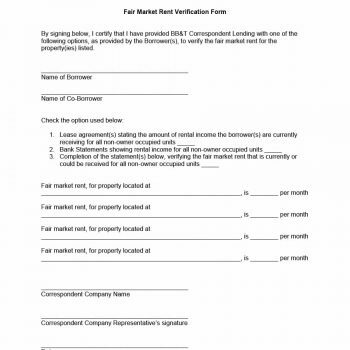 Did the tenant give a proper notice before the lease ended? 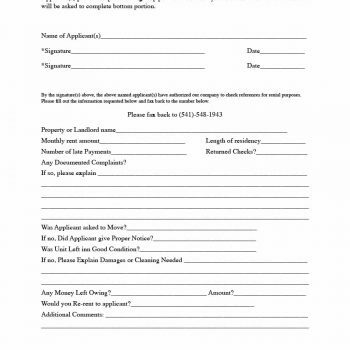 Does the tenant have any past dues still owed? Did the tenant follow all the policies which have been agreed upon at the start of the lease period? Was the property left in good shape? 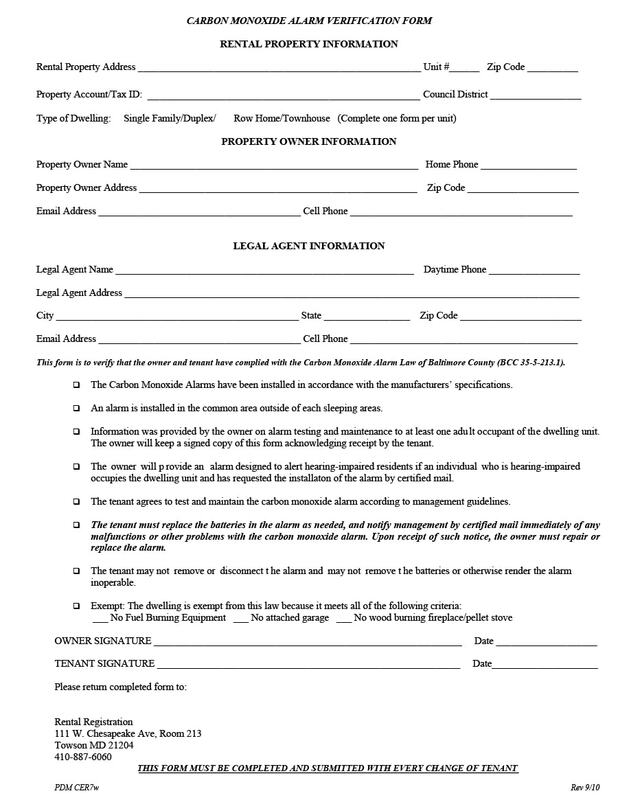 Were there any legal issues or concerns related to the tenant? You can think of any other questions which you may find useful for you to be able to gauge if a tenant is good enough to rent your property. 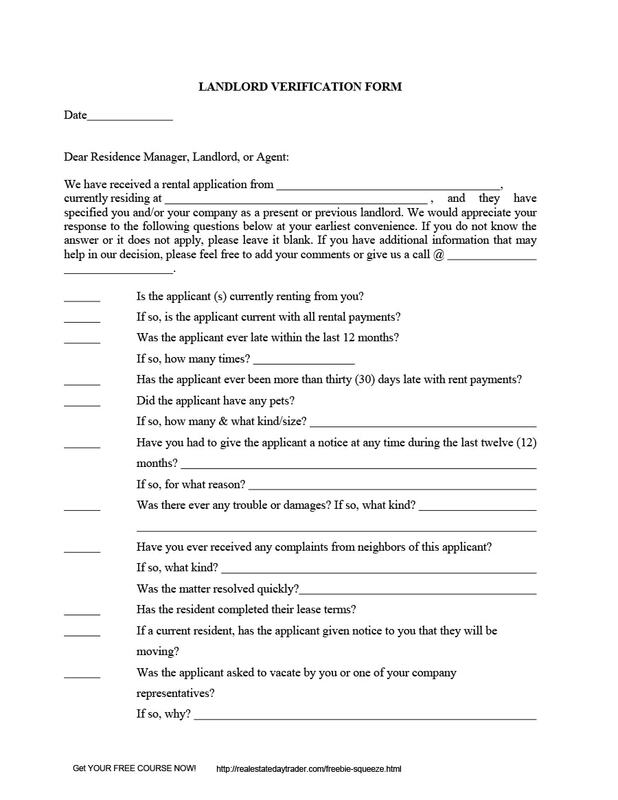 This is a simple and general form which can be filled out by a number of potential applicants throughout the whole rental process. 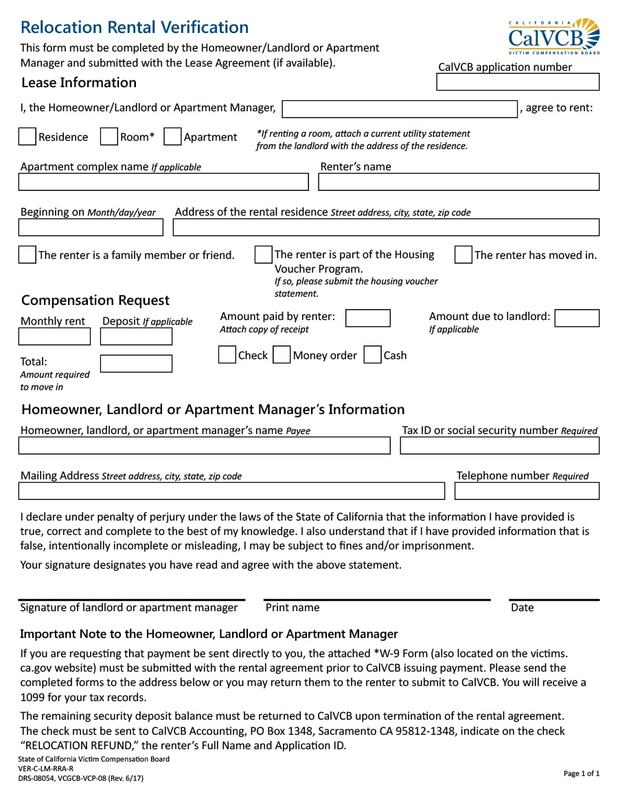 Using a bigger font, type in the title of your document before adding in all the other information needed in a Tenant Verification Form. 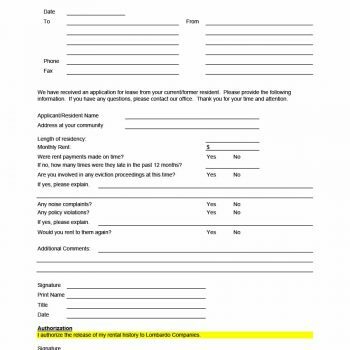 This form also has 4 sections, you can either create boxes for them or separate them using headings to highlight each section. 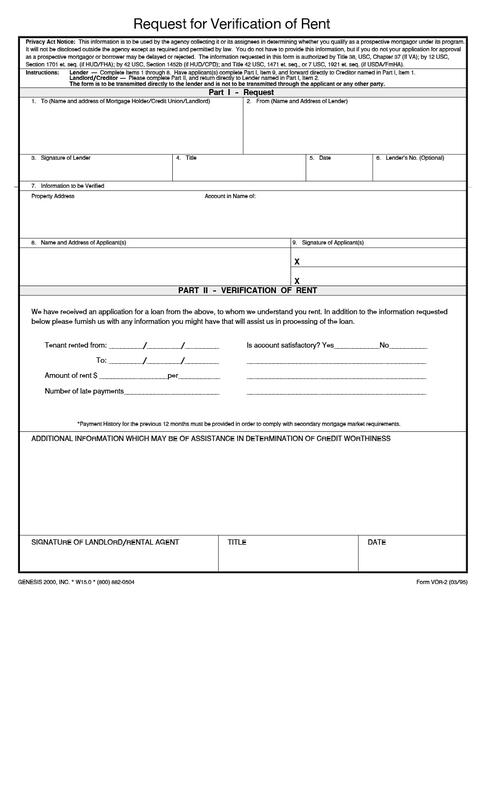 The first section would contain all the basic information such as the Applicant’s name and his/her father’s name. Also add in a place for the date of birth, occupation and contact details – home and work numbers and email address. 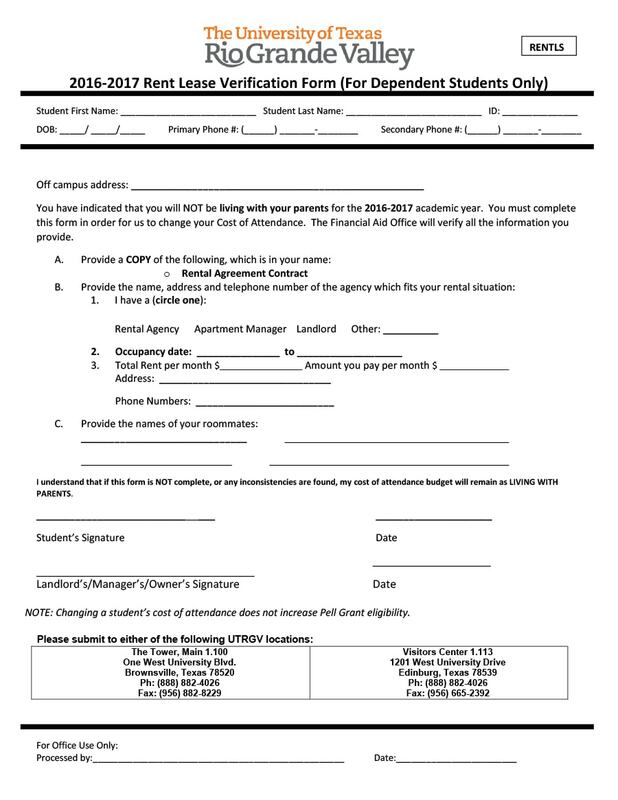 The next section would contain all the tenancy information and you can emphasize it by placing a heading with that as its title. 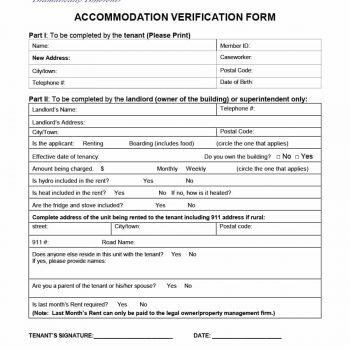 The first thing you should place here is space for the tenancy agreement detail. 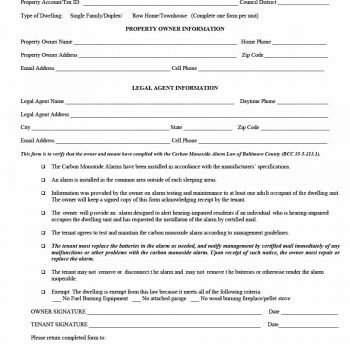 Then, give a space for the address of the property and the terms of agreement. 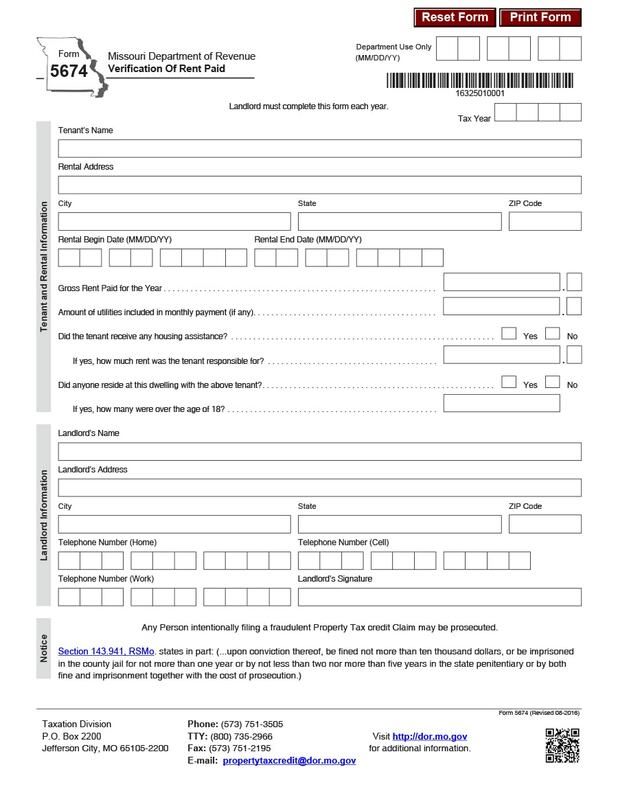 After that you can add in space for the length of the tenancy period and contact details of the tenant too. The third section would be for the bank account information. Here you’d have to give space for information such as: the name of the bank, the account type, information on when the account was opened, minimum and maximum transaction amounts as well as the average balance. You can place 2 columns for this section in case there are more than just 1 bank account. The last section would contain all other information such as the income assessment, the years included, tax information, EMIs, balance income and score, as well as the credit history and the observation. 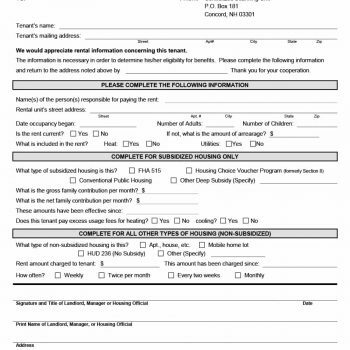 This form may seem simple but if the potential tenants or applicant fill it up correctly, you would be able to use all the information in it to be able to determine whether the tenant would be okay to rent out to. 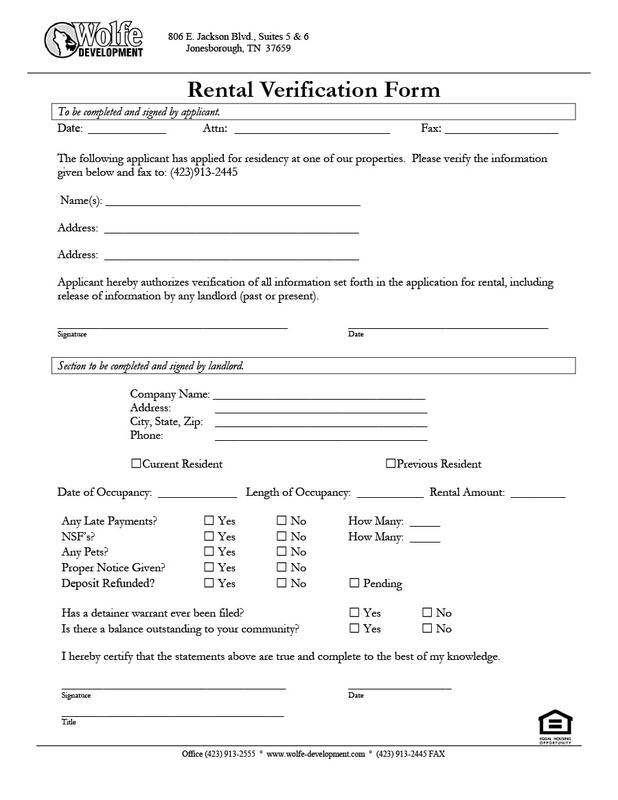 There are different kinds of Landlord Verification Forms, some more casual and some more formal or official. 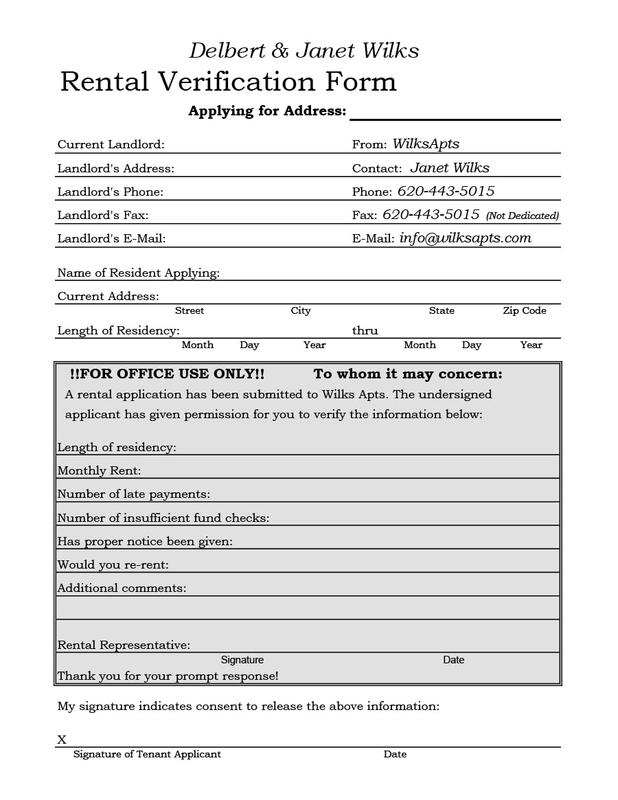 The important thing to think about when making a template for this kind of form is that once it has been filled up, it would give you useful information regarding the potential tenant’s previous rental and rental agreement. 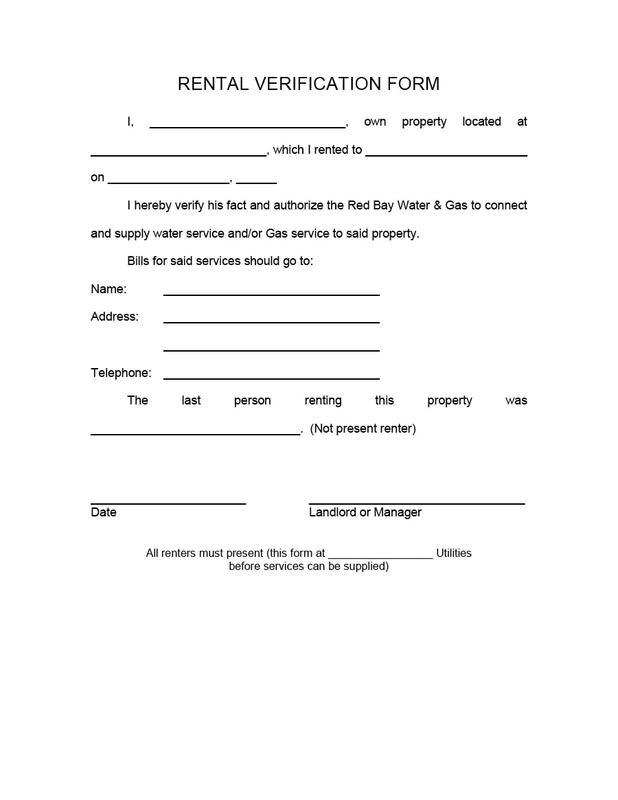 Landlords have to fill this up accurately as well to give the next homeowner enough information regarding the tenants to serve as a guide for making a decision. Using a bigger font, type in the title of your document before adding in all the other information needed. 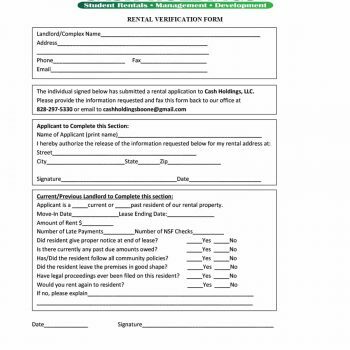 You can create 2 tables on the top portion to indicate information regarding the previous landlord and the person or agent requesting for the information. The first table (on the left) would include the name of the owner of the property, otherwise known as the landlord along with the contact details (phone and fax numbers, email address). The second table (on the right) should include the name of the leasing agent or the person requesting for the information, along with the pertinent contact details, mainly the phone and fax numbers and the email address. 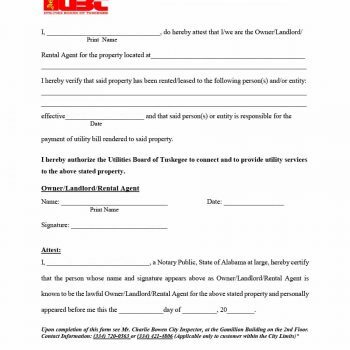 Then a statement should follow, authorizing the landlord to fill up the form and give the agent or requesting party all the information needed in the form. 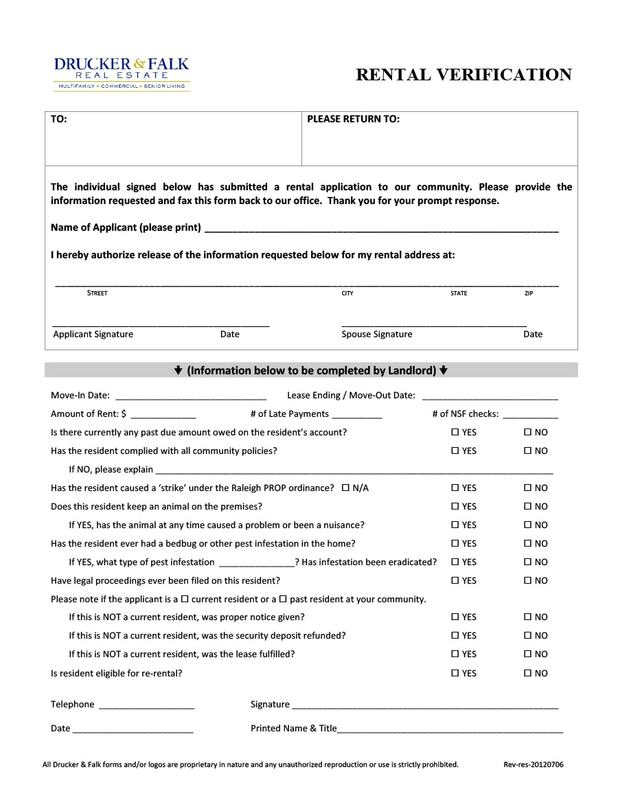 Here you should give a space for the applicant to write his/her most recent address, name, signature and date. 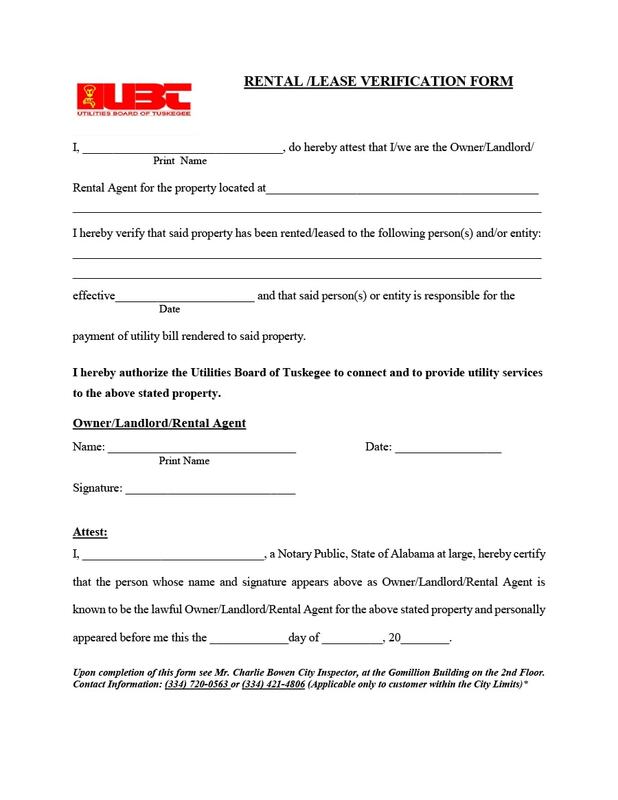 Same as with the simpler template, you can create 2 tables on the top portion to indicate information regarding the previous landlord and the person or agent requesting for the information. 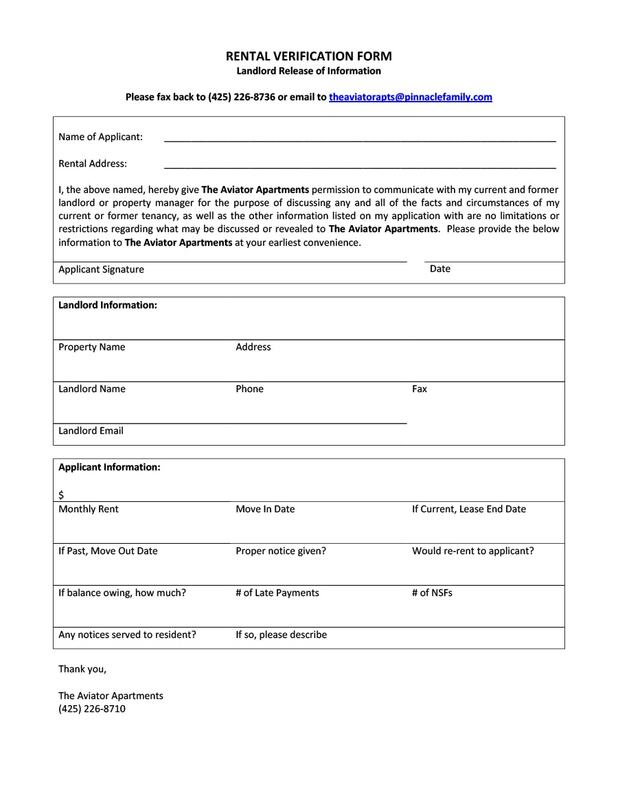 Then a statement should follow, authorizing the landlord to fill up the form and give the agent or requesting party all the information needed in the form. When did the renter start renting from you and when will the lease end? What was the amount of the rent each month? Did the tenant make all of the payments on time? Did the tenant issue any NSF checks? If so, how often? Was the tenant given any eviction notice at any point? If so, please explain. Did you get any complaints regarding the tenant? If so, please explain the nature of these complaints. Based on your experience renting to this tenant, would you rent out to him/her again? If not, please elaborate. Do you have any other important or relevant comments about the tenant? Finally, place a space for the landlord to write his/name, affix his/her signature and write the date when the form was filled up.